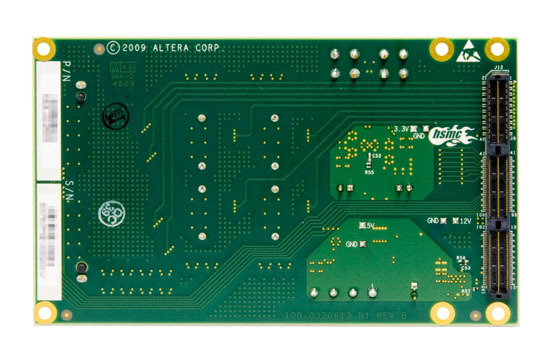 The SATA/SAS Daughter Card is designed to provide SATA interface conversion for FPGA platforms that support SAS and SATA solutions based on the latest 40-nm technology through a High-Speed Mezzanine Connector (HSMC). 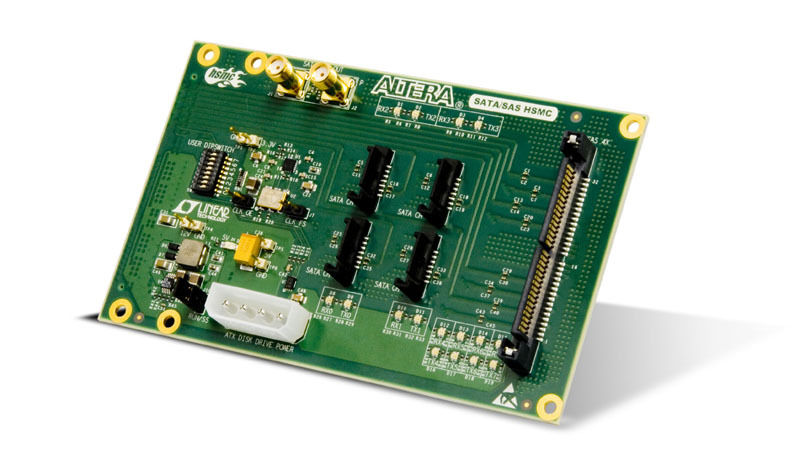 It allows users to access storage devices through the SATA/SAS protocols on an FPGA specifically the Stratix IV GX, Stratix II GX, Arria II GX, and Cyclone IV GX devices. This card features 4 single channel SATA signal plug connectors, one 4 channel SATA/SAS connector, and one ATX style output power connector for hard drives. 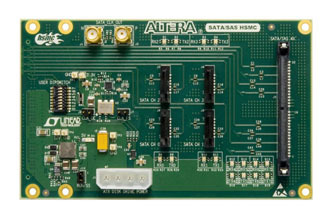 With the SATA interface conversion established on the HSMC interface, your FPGA system can bridge different protocols enabling the FPGA to be a system on chip (SOC), plus with the SATA/SAS IP core on the FPGA it can be used for functionality, specification-compliance, interoperability, and performance testing. 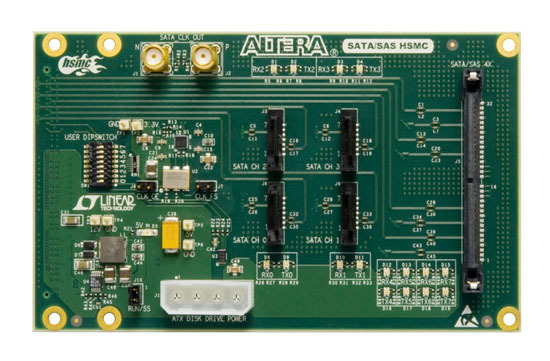 The SATA/SAS daughter board is the ideal platform for SATA interface conversion ensuring an excellent way to develop SOC solutions for storage applications on the Altera’s 40-nm FPGAs with integrated transceivers.